It’s time to ring in the New Year! As we say goodbye to this year, let’s take a look back at our most popular posts. From answering your questions to DIY installations, here’s a look at five of our most popular blog posts from 2016. Well-known and loved, the hottest lighting trend is a throwback to the original light bulb. Vintage light bulbs, often called Edison bulbs, provide a nostalgically comfortable ambiance. However, there are a few caveats to lighting your home with these antique replicas. The classic gleam has a lower brightness and Kelvin than today’s standard incandescent bulb. Most lighting in contemporary homes is a cheerfully warm white, 2700 Kelvin color temperature while the vintage bulb imitates its predecessor’s modest hue with a decidedly yellow, candle-like color, ranging from 1800 to 2400 Kelvin. Even though the vintage bulbs come with spiral or crisscrossed filaments and in a variety of familiar shapes, like Edison, tubular, or globe, the light’s color is the main reason vintage bulbs are considered best used in accent lighting situations. This year we covered several how-tos, but our most crowd-pleasing post was a step-by-step guide on how to wire cove lighting with pre-installed crown molding and LED rope or strip lights. This installation covered three ways to wire your LED lights: from your LED driver straight to your main power source, from your LED driver with a built-in plug to an outlet, or from your LED driver to a dimmer switch and outlet. The instructions also included a few tips to make the installation easier, like where to cut rope or strip lighting and what voltage should you use. Click this link to learn the difference. Color corrected light bulbs have a high CRI (color rendering index) of 90 or above, meaning the light shows colors close to their true nature when under direct sunlight at noon on a cloudless day. Color enhancing light bulbs have the warmer, 2400K color temperature that may remind you of the light from your fireplace. Color corrected bulbs are ideal for places where you want to see the true color of something, such as an art gallery or photography studio. Color enhancing bulbs are like adding filters to your environment. They let you see more detail in the grain in your mahogany bookshelves or enjoy the richness of your patterned rugs. Can You Use LED Replacement Bulbs for Incandescent Mini String Lights? Anna, a curious reader, asked, “Can I plug an LED mini light into an incandescent mini light socket?” The short answer is no. 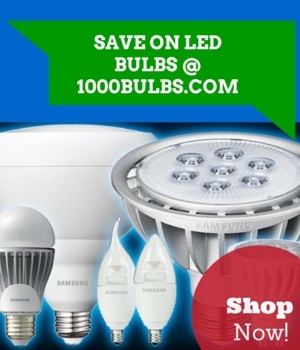 LED replacements bulbs are hard to find, use far lower wattages, and are brighter with more vivid colors than incandescent bulbs. An incandescent mini light string would produce way too much power for the miniscule needs of an mini LED bulb, subsequently blowing out the bulb. Also better quality LED mini string lights have the bulbs built into the wiring, meaning you couldn’t remove the bulbs if you tried. Shunted vs. Non-Shunted Lampholders: What’s the Difference? The difference between a shunted and non-shunted socket is how the electrical current flows through the fixture. Current flows through a shunted socket on a single path and on multiple paths through a non-shunted socket. Using the wrong socket greatly increases the possibility of an electrical short and a bulb burning out too soon. Identifying whether your sockets are shunted or non-shunted requires a voltage meter to test the socket contacts’ continuity (i.e. a complete path of current flow). Shunted sockets have internally connected contacts and therefore have continuity; non-shunted sockets have separate power leads and no continuity. The type of lampholder can play an important part in the power current flow. For example, most direct-wire LED lamps require non-shunted lamp sockets while plug-n-play LED lamps typically require shunted lamp sockets. However, it is best practice to find and read your specification sheet or manufacturer brochure to find the right lampholder for your fixture. Also when in doubt about the type of lampholders, just purchase new ones to match your lamp; lampholders are usually less than $1 each. Whether you’re buying, installing, or simply have a curiosity about lighting and light terminology, we’re always here to help. If there’s a topic you want to know more about in 2017 or questions left unanswered, keep posting your suggestions and questions in the area below. Or you can submit your best lighting jokes, facts, and DIYs on our Facebook, Twitter, Google Plus, LinkedIn, or Pinterest. Call 1-800-624-4488, where our 1000Bulbs.com staff is available, Monday through Friday, 7am to 7pm CST, to provide you with solutions to your everyday lighting problems.